Come into Metro Fun Center for skating, bowling, and more family fun! Want to have a fun Spring Break minus the budget-breaking price tag? Looking for Spring Break fun right in your own backyard? Metro Fun Center in Atlanta has plenty to offer you and the entire family this Spring Break, all at a price tag you can afford. Bowling, billiards, an arcade, roller skating, and more for the entire family. Enjoy hours of family fun this Spring Break at Atlanta’s Metro Fun Center. There’s no shortage of entertainment at Metro Fun Center. Gather up your family and friends and get together for a fun-filled day all under one roof. You and your fellow parents can bowl or get a round of billiards in while the little ones light up the laser tag course or bounce around in the inflatables. Like to roller skate? Even better, do you like to roller skate for free? Every Monday and Wednesday from 6-9 p.m. kids skate free! How’s that for Spring Break on a discount? There’s something for everyone right here at Atlanta’s Metro Fun Center. Adults can have spring break fun, too! With an extensive cocktail and beer selection as well as daily and weekly specials, there is plenty of Spring Break action for the adults as well. Enjoy a margarita while watching some of the games on our many big screen TVs at the all-new Metro Bar and Grill. There’s an outdoor patio and VIP Loft, so you and the parents can enjoy a private little getaway without leaving home. We have the entire family covered at Metro Fun Center. Party Packages Available for a Spring Break Bash! Whether you want to get the family and friends together for a fun night on the roller skating rink or get competitive during a night of bowling and billiards, we have a group package for you. Spend less money while having more fun than you ever imagined during Spring Break in Atlanta by booking a private party. With different levels of pricing for everything, from the Silver Party Package to the Adult Party Package, you and nine of your friends can have hours of fun on the bowling alley, roller skating rink, arcade and more. With options starting as low as $12.95 per person, there are plenty of ways to have the perfect staycation at Metro Fun Center. Plan your Spring Break with us Today! Not everyone has the time or money to get away to the beach for Spring Break. But that doesn’t mean you don’t deserve to have just as much fun at a price tag you can afford. 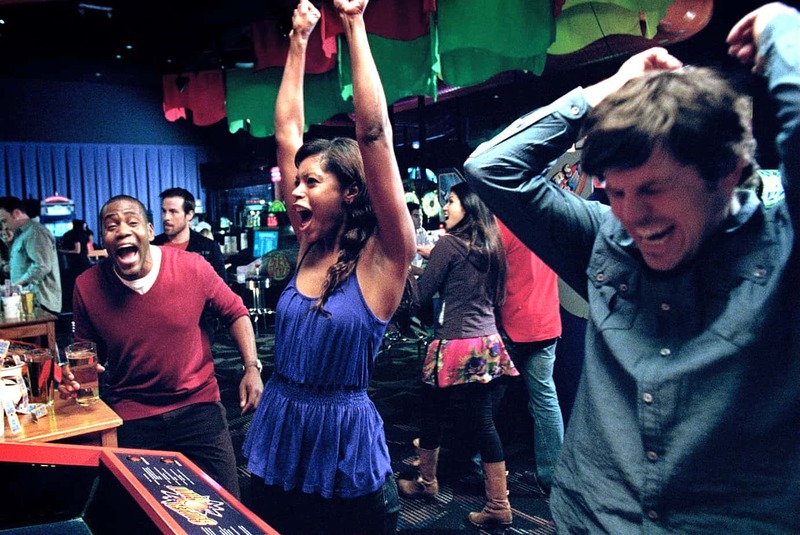 With bowling, skating, arcades, billiards, and delicious food and tantalizing drinks, there’s fun to be had by the kids and adults this Spring Break right here in Atlanta. Contact Metro Fun Center today and start planning an unforgettable staycation.